Oudenaarde (Belgium) (AFP) - Defending Tour of Flanders champion Niki Terpstra crashed out of the gruelling one-day race on Sunday. Dutchman Terpstra hit the tarmac with several other riders 160km from the finish of the 266-kilometre slog from Antwerp to Oudenarde over a route that takes in 24 sharp climbs, many cobbled. 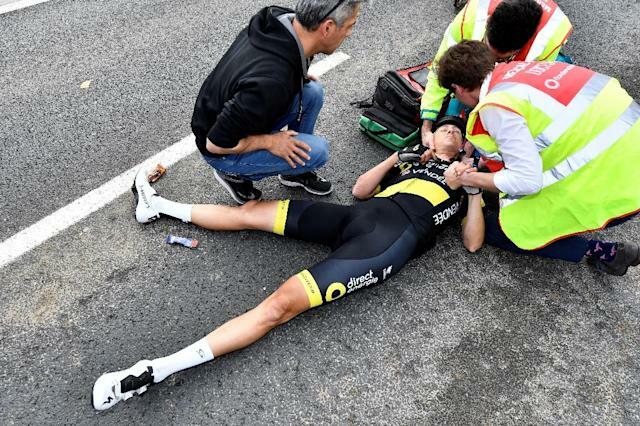 Terpstra stayed down for several minutes after the crash, his Direct Energie team confirming he had been taken to hospital.